15 Nov 2017 / 16:14 H.
JERUSALEM: Israeli Prime Minister Benjamin Netanyahu has offered aid to the victims of the weekend's deadly earthquake in Iran insisting enmity between the two governments does not prevent humanitarian sympathy. The offer, made in a video conference with the Jewish Federations of North America, was largely rhetorical. Iran does not recognise the Jewish state and Israeli media reported that the offer was swiftly turned down through the International Committee of the Red Cross. 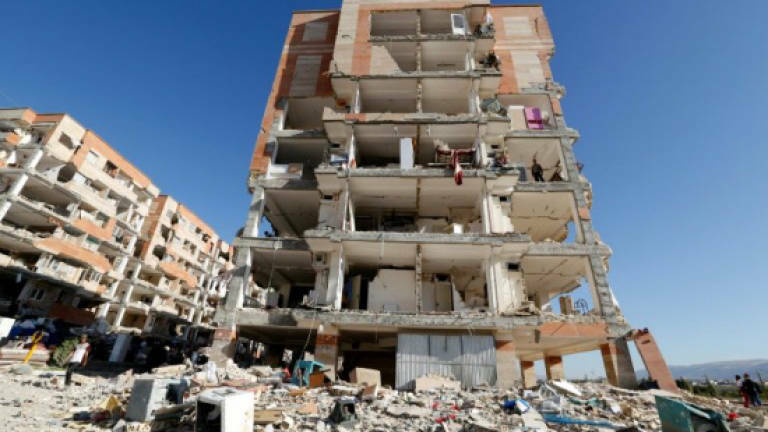 But it comes as many of the tens of thousands left homeless by the quake have vented anger at the Islamic regime for what they say has been the slow response of the charitable foundations set up after the revolution of 1979. "I saw these heartbreaking images of men and women and children buried under the rubble," Netanyahu told the meting in Los Angeles. "A few hours ago, I directed that we offer the Red Cross medical assistance for the Iraqi and Iranian victims of this disaster. "I've said many times that we have no quarrel with the people of Iran. Our quarrel is only with the tyrannical regime that holds them hostage and threatens our destruction. But our humanity is greater than their hatred." More than 400 people were killed and tens of thousands left homeless by the quake that struck on the Iran-Iraq border late on Sunday. Israel regards Iran and its close ally Lebanese Shiite militant group Hezbollah as its most dangerous foes. Iran has been a staunch supporter of Palestinian militant groups Hamas and Islamic Jihad.